Listless and can’t Handel the grind of school? Then piano ensemble’s the CCA for you. You may be wondering – why bother putting up with these lame musical puns? Why join a CCA with 25 pianos playing simultaneously? Why surround myself with a group of professional classical musicians engrossed in their own world, spewing musical jargon from their mouths? If that’s you, you can’t be more wrong as the whole of PE batch’14 was with you in our first, fortunately not-so-accurate, impressions. We’re just a bunch of people who are dedicated to sharing our love for music with anyone who’ll care to listen.Though we might not be able to stage a 25-something hand masterpiece, rest assured that we certainly do more than the usual solo playing! In their two years here, members are given the opportunity to perform duets and even trios with other like-minded piano enthusiasts. Musicianship is something we strive towards, more so than merely demanding a certain level of technical standards to be met or a quota of classical pieces to be played. After all, what’s the point of practising an instrument tirelessly without being able to fully appreciate the beauty and texture of the music? On this note, we are looking for people with a heart for quality music, a willingness to take their piano prowess to the next level and an openness to new experiences. And we promise a fun and fulfilling time ahead! What you can expect is an exciting line-up of events and activities for the budding pianists, where all members are given as much exposure as possible. Our annual concert, competitions or smaller-scale recitals are not be missed, with our CCA members consistently clinching the gold award in Vivace, the pianistic equivalent of SYF, since participating in 2005. This ensemble’s creative energy is also reflected in its innovative concert themes, which include “for Euridyce” (2005). “Child’s Play” (2009), “Legende” (2012) and for the upcoming concert, “Carnival of Animals” (2014). Our passion for music and sharing has also found expression in the area of community service, where our CCA undertakes different types of projects with different beneficiaries, depending on the batch. 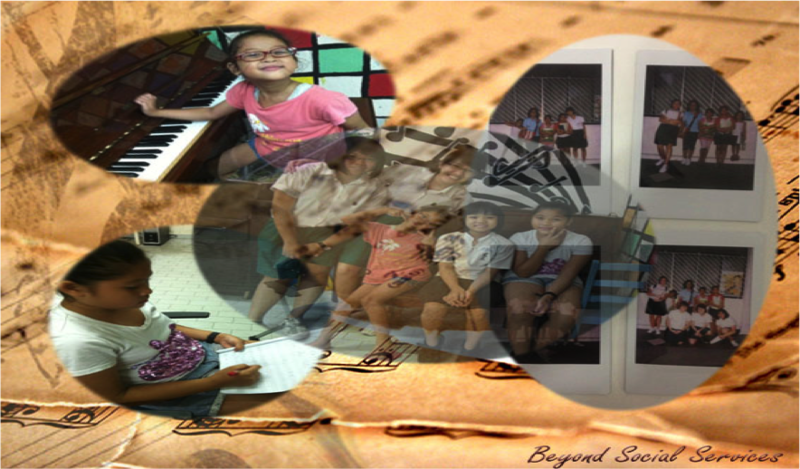 Last year, it saw us giving weekly piano lessons to children of Chen Su Lan Methodist Children’s Home and Beyond Social Services. This year, one highlight would definitely be the collaboration with an anime pop pianist to further expand our repertoire. And what can you expect from our weekly CCA sessions? Besides the usual coaching sessions, musical sharing, rehearsals and even the much-feared pre-concert Quality Control checks, be prepared for a strong sense of community. Just as much, if not even more time will be devoted to batch planning, discussions or bonding time. Given how this CCA ultimately gives its members a fair amount of freedom to decide what they want to pursue, these meetings are precious in setting direction as well as launching into spontaneous conversations and practices alike with your fellow batchmates. In the words of Richard M. Nixon, “If you want to make beautiful music, you must play the black and white notes together.” Just as how life consists of ups and downs, so will your journey in RI PE but at the end of the day, you’ll experience the joy of friendships and producing beautiful music alongside people who are unafraid to do what they love best. Seeking to showcase and develop your talents or simply just keen to further your interest and enjoy the synergy of working with fellow enthusiasts? Then look no further!! !